1. 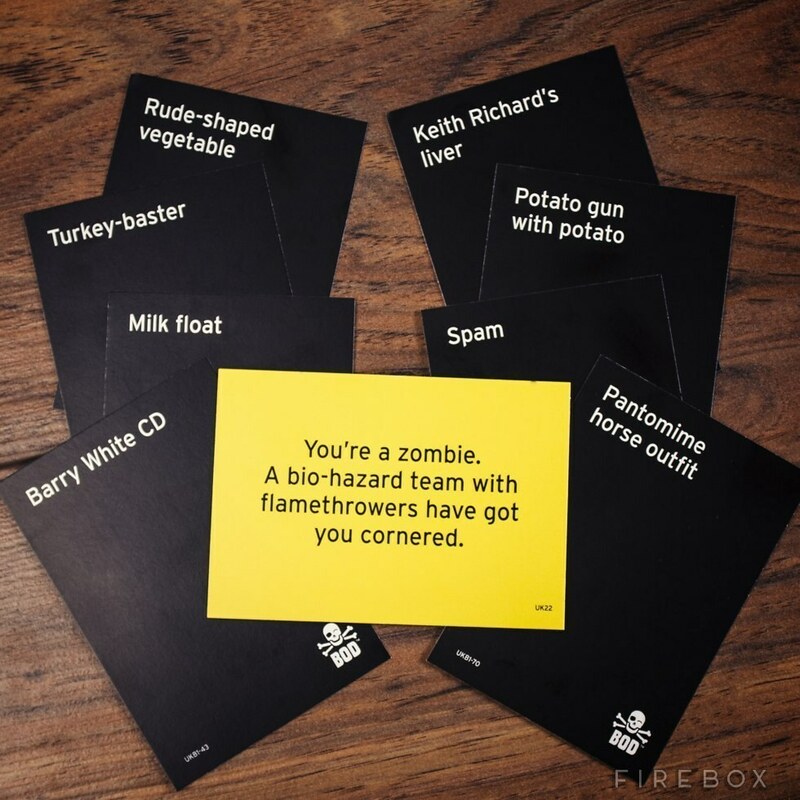 Superfight is like Cards Against Humanity + a Chuck Norris joke. For 3 - 1,000,000 players. 2. Telestrations is like telephone + Pictionary. 3. Poop is as fun to play as it is to say. 4. What Do You Meme is for people who spend more time on the internet than off it. 5. Funemployed takes the worst part of job interviews and makes them hilarious instead of terrifying. 6. 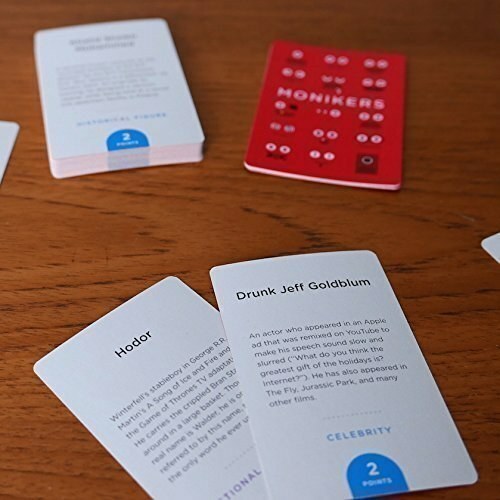 Monikers is like Celebrity + Taboo. For 4-16+ players, takes 30-60 minutes to play. 7. Dohdles! is like charades with play dough. "A big part of the fun is laughing about family members' questionable artistic efforts" - N. Fergusen R.
For up to 6 players or teams. 8. We Didn't Playtest This at All is more about having weird, nonsensical, quick-moving fun than following the "rules." For 2-15 players, takes 1-5 minutes to play. 9. Ink'd is like Pictionary where your body is the canvas. 10. Drunk, Stoned or Stupid is like Cards Against Humanity + Never Have I Ever. 11. 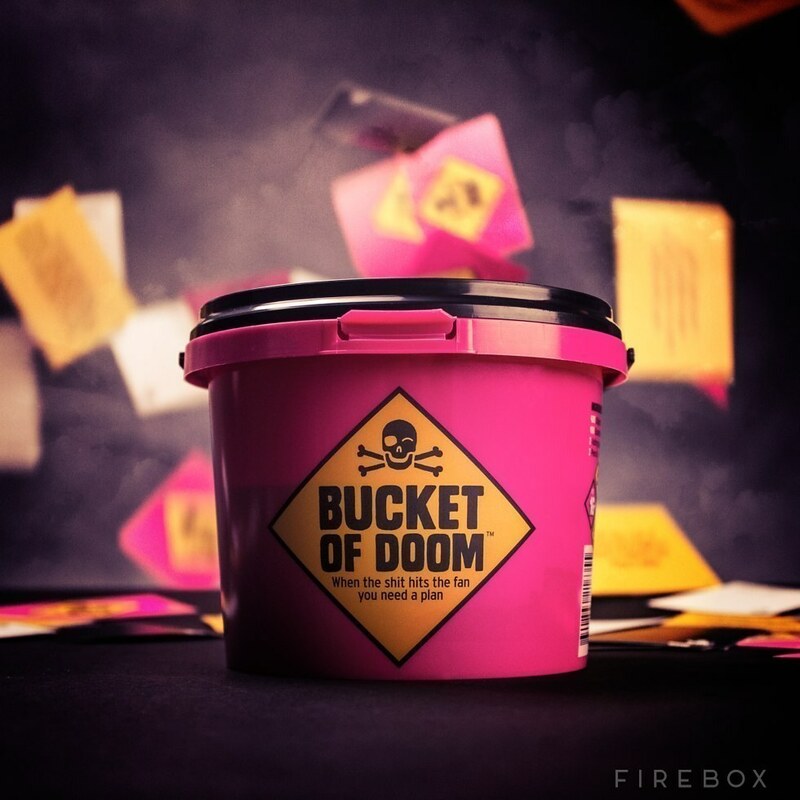 Bucket of Doom is like a card game version of MacGyver. 12. Exploding Kittens is like Angry Birds + Russian Roulette. 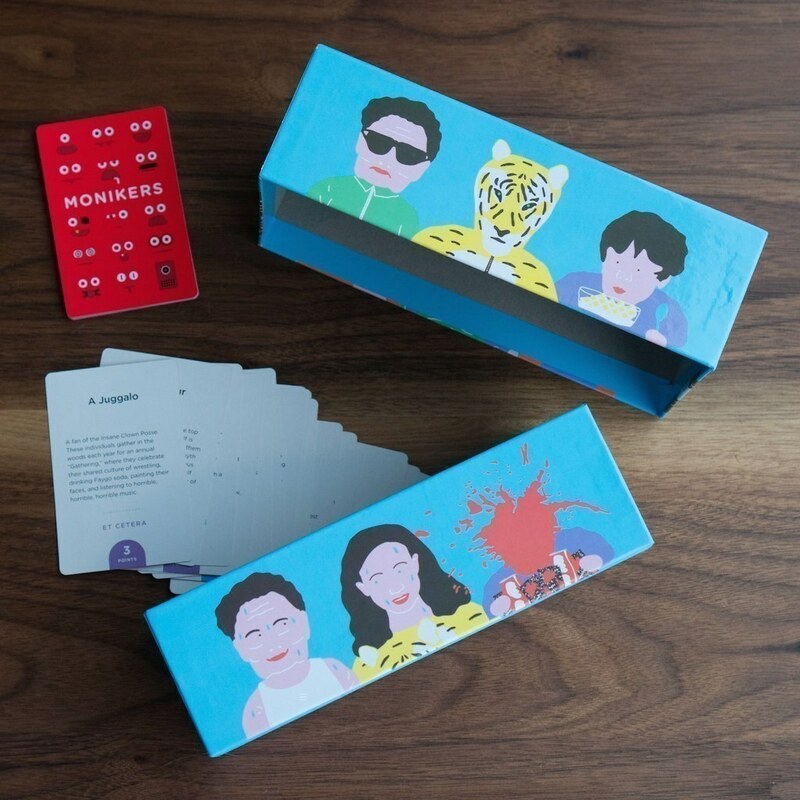 "My spouse, who doesn't particularly like card games like this, really enjoys playing this. We even play with my in-laws." - Jen G.